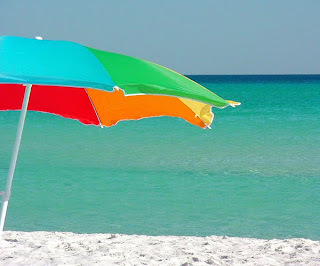 Here are several ideas on how to keep your sweet face out of the harsh sun. Let's protect our little babies from the harsh sun rays to make them live a long and healthy life. 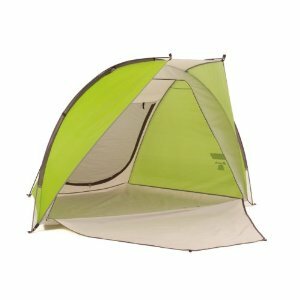 Not too pricey and looks very easy to set up and take down. Perfect for them to play with toys in and not have sand get on everything. 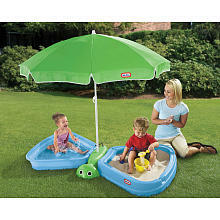 How cute is this play sandbox/pool. 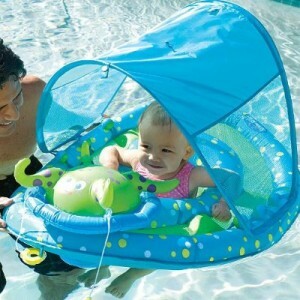 Plus its perfect with the umbrella to keep the sun off the babes. A hat like this is a must. 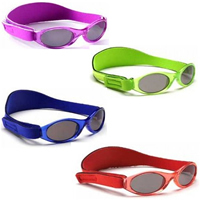 It keeps the sun off their faces as well as the back of their necks. I found this hat as Babies R Us. 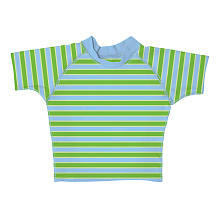 Plus they have cute ones for boys. This never happens, they have skulls, alligators, sharks, etc. I love all the prints. Go check them out. A UV shirt is another must have for the summer time. They have different UV levels that blocks the sun from their skin. I have seen these at Target for $8.00 and Old Navy also has some. They even have them in long sleeves which is even better. I have read that you should not put sunscreen on a baby younger then 6 months old. I don't know how true this is. But I just kept C out of the sun completely until he was 6 months old. 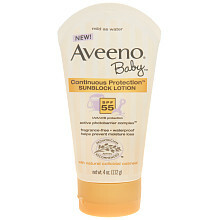 Aveeno and Neutrogena have sunscreen specifically for babies. I like both. And with a strap. Perfect. So your little ones cant rip them off. Because lets me honest, you know they will. We have this pool float and I love it. 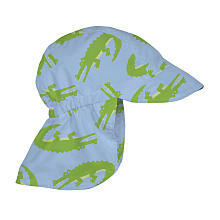 Its perfect with the little covering above to keep the rays off my sweet face. I am going to get that floating device now!